Great, thorough job overall. The photos with red arrows made it easy to follow the things I hadn’t seen personally. The summary pages made it easy to copy, paste into a document with my notes to members of the board. The rest of the report will form the basis for our upcoming repairs and future maintenance items. It was very detailed. Bill and I had taken a few photos and probably didn’t need to. You may want to let people know what a final report looks like. The last one I got was handwritten into a paper format. It was okay but not on par with yours at all. I’ve been putting off writing you an email until we received the radon report, which, thankfully, did not take long at all. I don’t have any immediate questions, but rather I’d just like to express how much I enjoyed meeting you, […] and then gleaning from you what information I could during the house inspection. It was kind of a stressful day, not too bad, but your great company — literal and figurative — made the entire experience both congenial and educational; you brought a casual, friendly, and distinctly professional vibe that I’ve rarely encountered within the realm of construction and real estate. My brother and parents wanted me to tell you how much they enjoyed meeting you, kind thoughts and words which I mirror exactly. Again, it was great meeting and speaking with you, and I hope somewhere not too far down the line we have another opportunity;[…]Truly, thanks for all your help, Mike, and I hope you won’t mind any intermittent emails asking questions about home improvement! It was a pleasure working with you again. Thank you for the quick turnaround on this report. I appreciate that you are thorough in your inspection but also realistic about the condition and usefulness of the property. I look forward to working with you in the future. Thank you Mike! This is much more detailed and thorough than I was expecting. Very helpful. I’m going to recommend your services to anyone who will listen! Thank You for this thorough and thoughtful report. It was an amazing experience to go through the house with you and get to know the systems of the house. I keep telling people that I feel as though I have an intimate knowledge of the workings of our house, and how safe I feel knowing exactly what we are signing on to. I will recommend you freely to anyone who is looking for an amazing education and care filled inspector for their home. I’m sure we will be calling for your recommendations! Too many people are always negative, and only respond when something is wrong… I wanted to let you know how thankful I am and how easy it was to do business with you. From the beginning, Chris was both responsive and helpful when booking and confirming our inspection. Obviously our date was a few weeks out from when I booked it, so the follow-up was not only appreciated, but given how many other forms and moving parts there are to purchasing a home– the follow-up was completely necessary. I also appreciate that you were so thorough and detailed when looking over our home. You treated it like it was your own, and as if you were going to put your family in it– and that means a lot to me. 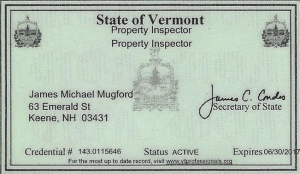 Thank you so much, Mike, for your thorough report and for being so thoughtful and reassuring during the inspection. It was a super-positive experience for us. We’ll be in touch if we have any questions. We really appreciate the time you took – it was very informative – and would love to work together again if the opportunity arises. First off, I wanted to send a sincere thank you for the work you did inspecting 115 Williams Street and preparing the report. It’s been absolutely invaluable as a tool going through this process of purchasing a house! It was a fantastic experience which helped give me a lot of insight going forward and your name has been spilled around a few times already! I wanted to express how wonderful and professional both Geoff and I thought you were with our inspection. We really appreciated the opportunity to walk through the home with you, ask questions and learn your insights. From the first phone call I made to your office until receiving the inspection report, everything was handled top notch! 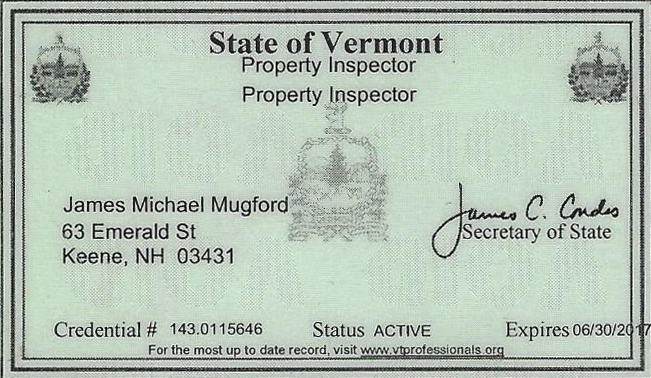 I will certainly be pleased to refer anyone looking for a home inspection to you. Thank you again!!!! We just want to say thanks for the great inspection and report, we appreciate your thoroughness and speed, I know our time tables were a little tight but you did great. Thanks again and if asked we’ll definitely recommend you to anyone we know. Have a good one. David and I were blown away with your report. Very thorough. I would recommend you to anyone in a heartbeat. David said it was great working with you. He really enjoyed hearing your thoughts on the house and picking you brain. It was very kind of you to show him things and explain things you saw. We think you did an awesome job with the report. This is our first house so we didn’t quite know what to expect and your report exceeded our expectations. And your thoughts within the email were so great for us to have and to hear. We really appreciate you taking the time to do the inspection, and getting it done as soon as you did. As of today, we are closing in 8 short days, January 30. We will certainly keep Trenna at Cocoplum in mind when we go to look for a refrigerator next weekend. Again, thank you for taking the time to do the inspection, putting together the report, and working with David. Like I said, we will definitely recommend you to anyone needing a home inspection. Mike came highly recommended to me by my Realtor…and I see why! He was quick to return my initial phone call, was very personable, and his rates were great. Through the entire inspection process Mike kept me well informed, and fully disclosed potential future costs the home would run my husband and I. His notes were meticulous, and once the inspection was completed, he presented the report to me in both writing and in detail over the phone. Mike never seemed rushed, and genuinely took an interest in the quality of his work. He was very knowledgeable, and took time to answer all my questions in detail. I felt very well taken care…but the goodness doesn’t end there! Weeks after the inspection, my husband and I found out we needed an exterior lead paint removal, prior to the closing. I re-contacted Mike, and he found a local painter who was able to quote me a very reasonable estimate. Mike certainly went above and beyond what I would have ever expected for him to do! Word is out that you are the best!!! Finally had the opportunity to go through your report and I appreciate very much not only the detail of each category you addressed, but that you also spent the time to project where potential items of repair most likely will arise in the future. With that, I can set in place a plan to make some corrections before they become problems that can cause interruptions. Thanks also for allowing the situation that Keith could also interact with you while your inspections were taking place. His experience in the business was a welcome circumstance for me, as he obviously saw a lot more than I did. I knew he would not be a negative presence, but from your perspective of not knowing him, I would imagine you have had similar situations where people tried to undermine your work for their benefit. I came away reassured that both of you represented my position well. If I have the opportunity to put your name out there for future clients, I will not hesitate. And I appreciate the offer to contact you with any questions that may come about from this inspection. Great…thank you so much Mike! I really appreciate your time and thoroughness of your report :-). Will definitely call you in the future. Nice job & very thorough! Hope to work with you again real soon. Thank you for this thorough and useful report of the … property. Your positive comments along with insightful details affirm that I’ve made a good choice, while at the same time being aware of important areas needing attention and/or monitoring. Again my thanks for your helpfulness- I appreciate having you as a resource in the future, if needed. Mike was referred to me by my realtor to inspect an older home I was buying. The inspection process can be very nerve wracking when you’ve found your dream house, only to discover there are unforeseen problems. Mike helped to put me at ease through the whole inspection process. He did find some areas of concern, but we were able to talk about affordable fixes and prioritize them. Mike has 30 years of building and construction experience to draw from and his suggestions, professional report and demeanor made me feel very comfortable in my final decision to buy the house. WOW is all I can say… oh, and… can I put your phone number on speed dial? 🙂 Sorry for the informal opening but I wanted to express how pleased I am with the extremely thorough report you put together. It was a pleasure walking through the house with someone that has the expertise on older homes and knowing the features to appreciate as well as acknowledging the items of concern. I read through it last night and will print it out today for another run through. You have given me a lot to consider and think about in jumping into this home. I think the good thing I have on my side is that I can possibly tackle some of these bigger items while I still have my home to live in Keene. Your report definitely has good cause for me to pull in my electrician and plumber to check out the items of safety concern and see what needs to be done right away. I will also contact the waterproofing company at some point as well. When I finished reading the report last night I stayed awake for a bit thinking about the project ahead… I can’t tell you how helpful your comment to me in your opening letter in regards to having the skill set, etc., helped. Thank you. My oldest living relative, Aunt Patty reminded me a few years ago that we have “SISU” which loosely means having ‘the courage and audacity to do something risky with integrity, honesty and humility’. This theme has helped me through a lot of unusual life situations and so with that, this project still feels right for me. I most definitely will be in touch in regards to inspecting my Keene home as well as some ideas on this one. It was a pleasure working with you and we really appreciate your professionalism and insight. Truly feel so blessed to have met you, Mike. Your honesty, integrity, and kindness are most appreciated.